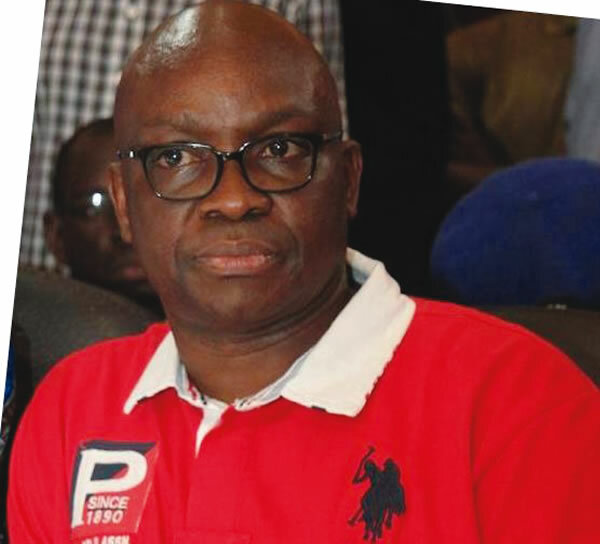 Ekiti State Governor Ayo Fayose has not spoken with President Muhammadu Buhari in the last two years. Fayose, who has been critical of the President, especially on his state of health before election and after his inauguration, said he refused to speak with the President’s security chief to whom his calls to the Presidential Villa were diverted because he considered it an “insult”. He also spoke on ex-President Olusegun Obasanjo’s Third term bid, how the late President Umaru Yar’Adua was picked as the Peoples Democratic Party (PDP) candidate in 2007, among other issues, in an interview published by The Interview magazine. He said: “Well, we met twice or so during the Council of State meetings. There is nothing personal. I represent Ekiti State, he represents Nigeria. That is the basis of our interaction. Nothing personal. “For me, during our meeting, whenever any issue arose and I felt I should make a contribution, I raised my hand and spoke. That is it. “I remember I tried to call him several times before he took ill. Then, there was this day I called again and the switchboard told me that any call from me must be diverted to President Buhari’s Chief Security Officer (CSO). And I felt that was very insulting. “The CSO to the President is an ordinary policeman, who I assume, is just a little over and above my own CSO. I am a governor, a governor of a state. I felt that was an insult to the people of Ekiti State I represent. On the aborted Third Term agenda of ex-President Olusegun Obasanjo, Fayose said bribed were offered. He said while the principal officers of the National Assembly in 2006 got N100million each, the other lawmakers were given N50million each. He alleged that the former President knelt down for the late Libyan leader Mouamar Ghaddaffi to seek his backing for Third Term. He also said Obasanjo knew about the ill-health of the late President Umaru Yar’Adua before he was picked as PDP candidate. “. So, as a loyal Obasanjo boy then, I went to Obasanjo and told that this committee that was set up, everybody seemed to prefer Markafi except me and one other person and we were in the minority. “Five out of seven governors wanted Makarfi. Then Obasanjo pointedly told me that Markafi was too smart and would not be easily controlled by him and, therefore, I must ensure that Markafi did not emerge the presidential candidate. He mandated me to be briefing him often about the way things were going. “He confided in me that whether it was Markafi or anybody that he was not prepared to leave. At that time, the Third Term agenda had begun to unfold in Abuja. I can tell you that l was co-opted into the secret committee that was behind it. In that body, we had had this senator from Plateau, Ibrahim Mantu, Senator Andy Uba and many others. We were the key players. Let me tell you the truth: at that time, I did not have a choice. l was just a young man without experience. “…The senators started at about 11am in the morning and by 1 pm each senator was asked to stand up and say ‘yes’ or ‘no’ before live television coverage whether they supported Third Term or not, and the majority had their way. So Obasanjo’s dream of Third Term was shut down. Thereafter, he called a national meeting of PDP, termed reconciliation meeting and denied that he asked or worked for Third Term. Fayose opened up on the politics behind the choice of the late President Umaru Yar’Adua as a presidential candidate of PDP. He said the current Chairman of the PDP, Sen. Ahmed Makarfi was sidelined in favour of the late President Umaru Yar’Adua. He added: “Let me now come to the Yar’Adua issue. Obasanjo now called me and said, ‘Now that Third Term has failed, you should go ahead with the PDP committee. And in order for me to check those rooting for Markafi, I should go and sound Yar’Adua out on the ticket. He told me, ‘Don’t tell him I asked you to come. You psyche him up’. So, l met Yar’Adua in his lodge in Katsina. I met Yar’Adua in the company of Yakubu Tanimu (who became his influential chief economic adviser) and his police orderly. “I remember that while our interaction lasted, the orderly knelt down close to Yar’Adua. I acted as directed by Obasanjo, but the man told me expressly that he was not well enough to aspire to be Nigerian president; that the job would be too rigorous for him. He said: “ I remember, before then, Yar’Adua was hardly attending Council of State meetings because of his health. So, l went to tell Baba what Yar’Adua told me. On the issue of Yar’Adua’s ill-health. I remember Obasanjo told me, ‘Don’t worry about his sickness; government money dey to manage his ill-health.’ Baba told me to go and put the outcome of my interaction with Yar’Adua in writing. “Then Masari became the first loser; because, until then, Bello Masari as the Speaker of House of Reps was very loyal to Baba and did all the dirty jobs Baba wanted him to do, with the promise that he would be made the next Katsina governor after Yar’Adua. But once Yar’Adua became anointed as PDP candidate, he preferred Shema to be his successor. That was one of the conditions he listed. That was how a wedge came between Yar’Adua and Masari.